Soft slip on shoe with side elastication for comfort. Leather upper with front and back contrasting detail. 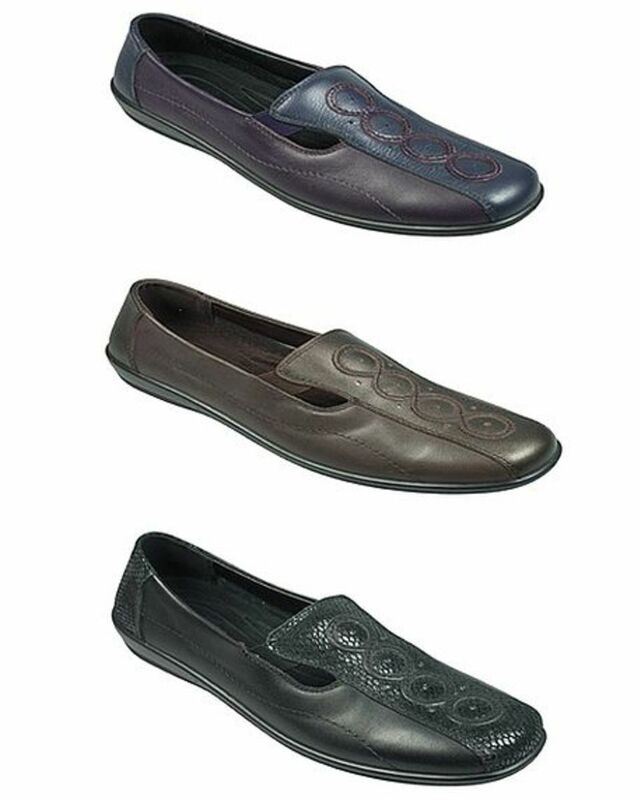 Removable inner sole and lightweight man-made sole. Variable fit EE-4E. Black, Bronze Metallic, Navy/purple.